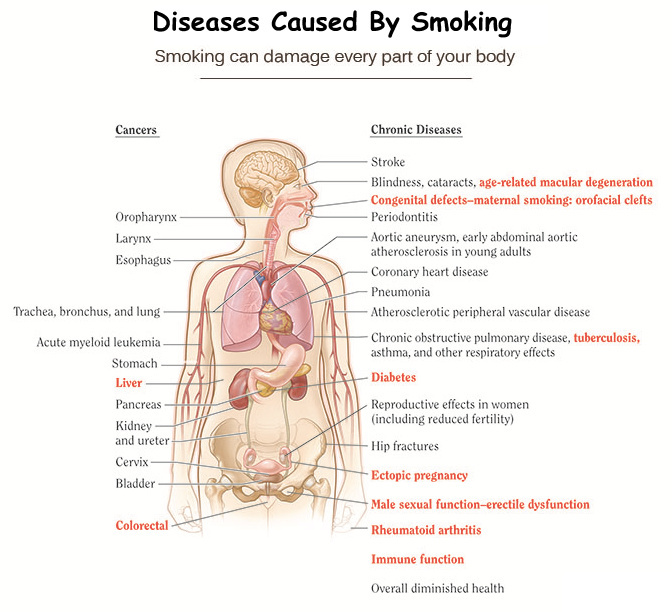 Cigarette smoking is the leading preventable cause of death in the USA and Worldwide. Cigarette smoking causes more than 480,000 deaths each year in the United States alone. This is nearly one in five deaths. A blood vessel in or around your brain bursts. Blockages caused by smoking can also reduce blood flow to your legs and skin. 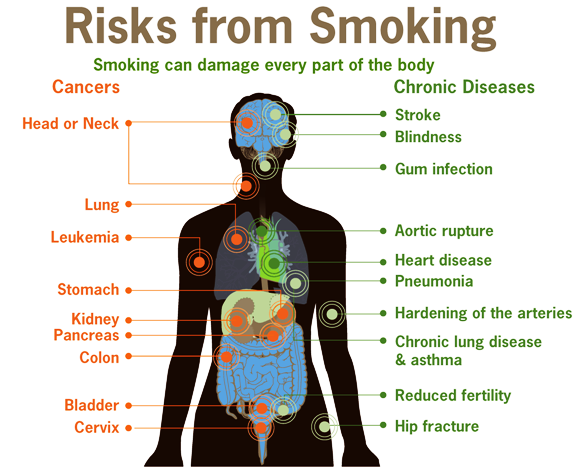 • Smoking also increases the risk of dying from cancer and other diseases in cancer patients and survivors. Smoking can increase your risk for cataracts (clouding of the eye's lens that makes it hard for you to see). It can also cause age-related macular degeneration (AMD). AMD is damage to a small spot near the center of the retina, the part of the eye needed for central vision. Smoking is a cause of type 2 diabetes mellitus and can make it harder to control. The risk of developing diabetes is 30-40% higher for active smokers than nonsmokers. • Quitting smoking cuts cardiovascular risks. Just 1 year after quitting smoking, your risk for a heart attack drops sharply. • Within 2 to 5 years after quitting smoking, your risk for stroke may reduce to about that of a nonsmoker's. 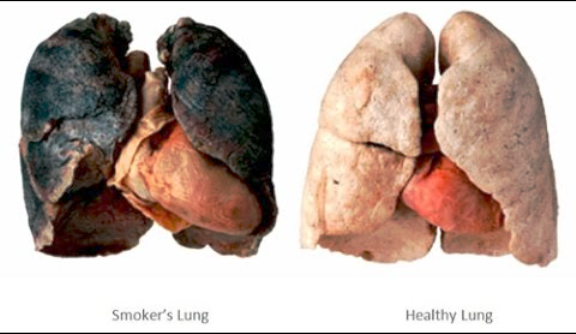 • If you quit smoking, your risks for cancers of the mouth, throat, esophagus, and bladder drop by half within 5 years. • Ten years after you quit smoking, your risk for lung cancer drops by half.